Immanuel Kant (/kænt/; German: [ɪˈmaːnu̯eːl kant]; 22 April 1724 – 12 February 1804) was a German philosopher who is considered a central figure in modern philosophy. Kant argued that the human mind creates the structure of human experience, that reason is the source of morality, that aesthetics arises from a faculty of disinterested judgment, that space and time are forms of our sensibility, and that the world as it is "in-itself" is independent of our concepts of it. Kant took himself to have effected a "Copernican revolution" in philosophy, akin to Copernicus' reversal of the age-old belief that the sun revolved around the earth. His beliefs continue to have a major influence on contemporary philosophy, especially the fields of metaphysics, epistemology, ethics, political theory, and aesthetics. Politically, Kant was one of the earliest exponents of the idea that perpetual peace could be secured through universal democracy and international cooperation. He believed that this will be the eventual outcome of universal history, although it is not rationally planned. The exact nature of Kant's religious ideas continues to be the subject of especially heated philosophical dispute, with viewpoints ranging from the idea that Kant was an early and radical exponent of atheism who finally exploded the ontological argument for God's existence, to more critical treatments epitomized by Nietzsche who claimed that Kant had "theologian blood" and that Kant was merely a sophisticated apologist for traditional Christian religious belief, writing that "Kant wanted to prove, in a way that would dumbfound the common man, that the common man was right: that was the secret joke of this soul." In one of Kant's major works, the Critique of Pure Reason (Kritik der reinen Vernunft, 1781), he attempted to explain the relationship between reason and human experience and to move beyond the failures of traditional philosophy and metaphysics. Kant wanted to put an end to an era of futile and speculative theories of human experience, while resisting the skepticism of thinkers such as David Hume. Kant regarded himself as ending and showing the way beyond the impasse which modern philosophy had led to between rationalists and empiricists, and is widely held to have synthesized these two early modern traditions in his thought. Kant argued that our experiences are structured by necessary features of our minds. In his view, the mind shapes and structures experience so that, on an abstract level, all human experience shares certain essential structural features. Among other things, Kant believed that the concepts of space and time are integral to all human experience, as are our concepts of cause and effect. One important consequence of this view is that our experience of things is always of the phenomenal world as conveyed by our senses: we do not have direct access to things in themselves, the so-called noumenal world. Kant published other important works on ethics, religion, law, aesthetics, astronomy, and history. These included the Critique of Practical Reason (Kritik der praktischen Vernunft, 1788), the Metaphysics of Morals (Die Metaphysik der Sitten, 1797), which dealt with ethics, and the Critique of Judgment (Kritik der Urteilskraft, 1790), which looks at aesthetics and teleology. 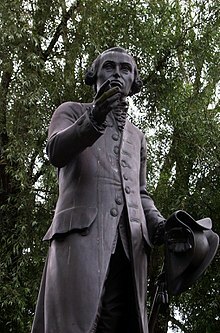 Immanuel Kant was born in 1724 in Königsberg, Prussia (since 1946 the city of Kaliningrad, Kaliningrad Oblast, Russia). His mother, Anna Regina Reuter (1697–1737), was also born in Königsberg to a father from Nuremberg. (Her name is sometimes erroneously given as Anna Regina Porter.) His father, Johann Georg Kant (1682–1746), was a German harness maker from Memel, at the time Prussia's most northeastern city (now Klaipėda, Lithuania). 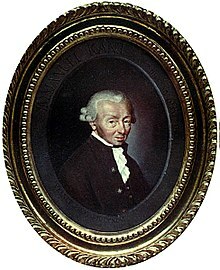 Immanuel Kant believed that his paternal grandfather Hans Kant was of Scottish origin.While scholars of Kant's life long accepted the claim, there is no evidence that Kant's paternal line was Scottish; it is more likely that the Kants got their name from the village of Kantwaggen (today part of Priekulė) and were of Curonian origin. Kant was the fourth of nine children (four of them reached adulthood). Baptized 'Emanuel', he changed his name to 'Immanuel' after learning Hebrew. Young Kant was a solid, albeit unspectacular, student. He was brought up in a Pietist household that stressed religious devotion, humility, and a literal interpretation of the Bible. His education was strict, punitive and disciplinary, and focused on Latin and religious instruction over mathematics and science. 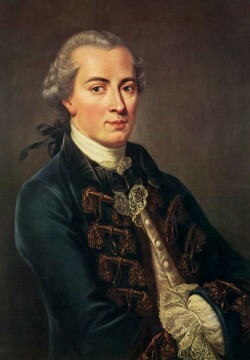 Despite his religious upbringing and maintaining a belief in God, Kant was skeptical of religion in later life; various commentators have labelled him agnostic. Common myths about Kant's personal mannerisms are listed, explained, and refuted in Goldthwait's introduction to his translation of Observations on the Feeling of the Beautiful and Sublime. It is often held that Kant lived a very strict and disciplined life, leading to an oft-repeated story that neighbors would set their clocks by his daily walks. He never married, but seemed to have a rewarding social life — he was a popular teacher and a modestly successful author even before starting on his major philosophical works. He had a circle of friends whom he frequently met, among them Joseph Green, an English merchant in Königsberg. Kant is best known for his work in the philosophy of ethics and metaphysics, but he made significant contributions to other disciplines. He made an important astronomical discovery about the nature of Earth's rotation, for which he won the Berlin Academy Prize in 1754. According to Lord Kelvin in 1897, Kant made contributions useful to mathematicians or physical astronomers. According to Thomas Huxley in 1867 Kant made contributions to geology as well when, in 1775 , he wrote his General Natural History and Theory of the Celestial Bodies; or, an Attempt to Account for the Constitutional and Mechanical Origin of the Universe, upon Newtonian Principles." In the General History of Nature and Theory of the Heavens (Allgemeine Naturgeschichte und Theorie des Himmels) (1755), Kant laid out the Nebular hypothesis, in which he deduced that the Solar System formed from a large cloud of gas, a nebula. Thus he tried to explain the order of the solar system, which Isaac Newton had explained as imposed from the beginning by God. Kant also correctly deduced that the Milky Way was a large disk of stars, which he theorized also formed from a (much larger) spinning cloud of gas. He further suggested that other nebulae might also be similarly large and distant disks of stars. These postulations opened new horizons for astronomy: for the first time extending astronomy beyond the solar system to galactic and extragalactic realms. From then on, Kant turned increasingly to philosophical issues, although he continued to write on the sciences throughout his life. In the early 1760s, Kant produced a series of important works in philosophy. The False Subtlety of the Four Syllogistic Figures, a work in logic, was published in 1762. Two more works appeared the following year: Attempt to Introduce the Concept of Negative Magnitudes into Philosophy and The Only Possible Argument in Support of a Demonstration of the Existence of God. 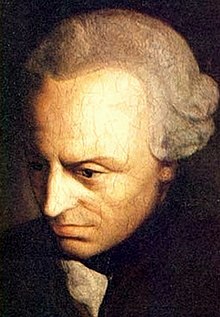 In 1764, Kant wrote Observations on the Feeling of the Beautiful and Sublime and then was second to Moses Mendelssohn in a Berlin Academy prize competition with his Inquiry Concerning the Distinctness of the Principles of Natural Theology and Morality (often referred to as "The Prize Essay"). In 1766 Kant wrote Dreams of a Spirit-Seer which dealt with the writings of Emanuel Swedenborg. On 31 March 1770, aged 45, Kant was finally appointed Full Professor of Logic and Metaphysics (Professore Ordinano der Logic und Metaphysic) at the University of Königsberg. In defense of this appointment, Kant wrote his inaugural dissertation (Inaugural-Dissertation) De Mundi Sensibilis atque Intelligibilis Forma et Principiis (On the Form and Principles of the Sensible and the Intelligible World). This work saw the emergence of several central themes of his mature work, including the distinction between the faculties of intellectual thought and sensible receptivity. To miss this distinction would mean to commit the error of subreption, and, as he says in the last chapter of the dissertation, only in avoiding this error does metaphysics flourish. At age 46, Kant was an established scholar and an increasingly influential philosopher. Much was expected of him. In correspondence with his ex-student and friend Markus Herz, Kant admitted that, in the inaugural dissertation, he had failed to account for the relation between our sensible and intellectual faculties—he needed to explain how we combine sensory knowledge with reasoned knowledge, these being related but very different processes. He also credited David Hume with awakening him from "dogmatic slumber" (circa 1771). Hume had stated that experience consists only of sequences of feelings, images or sounds. Ideas such as "cause", goodness, or objects were not evident in experience, so why do we believe in the reality of these? Kant felt that reason could remove this skepticism, and he set himself to solving these problems. He did not publish any work in philosophy for the next 11 years. "Any change makes me apprehensive, even if it offers the greatest promise of improving my condition, and I am persuaded by this natural instinct of mine that I must take heed if I wish that the threads which the Fates spin so thin and weak in my case to be spun to any length. My great thanks, to my well-wishers and friends, who think so kindly of me as to undertake my welfare, but at the same time a most humble request to protect me in my current condition from any disturbance." When Kant emerged from his silence in 1781, the result was the Critique of Pure Reason. Although now uniformly recognized as one of the greatest works in the history of philosophy, this Critique was largely ignored upon its initial publication. The book was long, over 800 pages in the original German edition, and written in a convoluted style. It received few reviews, and these granted it no significance. Kant's former student, Johann Gottfried Herder criticized it for placing reason as an entity worthy of criticism instead of considering the process of reasoning within the context of language and one's entire personality. Similar to Christian Garve and Johann Georg Heinrich Feder, he rejected Kant's position that space and time possessed a form which could be analyzed. Additionally, Garve and Feder also faulted Kant's Critique for not explaining differences in perception of sensations. Its density made it, as Herder said in a letter to Johann Georg Hamann, a "tough nut to crack", obscured by "all this heavy gossamer". Its reception stood in stark contrast to the praise Kant had received for earlier works, such as his Prize Essay and shorter works that preceded the first Critique. These well-received and readable tracts include one on the earthquake in Lisbon that was so popular that it was sold by the page. Prior to the change in course documented in the first Critique, his books sold well, and by the time he published Observations on the Feeling of the Beautiful and Sublime in 1764 he had become a notable popular author. Kant was disappointed with the first Critique's reception. Recognizing the need to clarify the original treatise, Kant wrote the Prolegomena to any Future Metaphysics in 1783 as a summary of its main views. 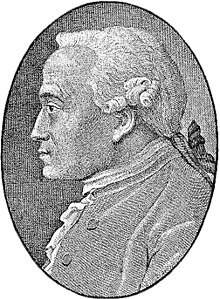 Shortly thereafter, Kant's friend Johann Friedrich Schultz (1739–1805) (professor of mathematics) published Erläuterungen über des Herrn Professor Kant Critik der reinen Vernunft (Königsberg, 1784), which was a brief but very accurate commentary on Kant's Critique of Pure Reason. Kant's reputation gradually rose through the latter portion of the 1780s, sparked by a series of important works: the 1784 essay, "Answer to the Question: What is Enlightenment? "; 1785's Groundwork of the Metaphysics of Morals (his first work on moral philosophy); and, from 1786, Metaphysical Foundations of Natural Science. But Kant's fame ultimately arrived from an unexpected source. In 1786, Karl Leonhard Reinhold published a series of public letters on Kantian philosophy. In these letters, Reinhold framed Kant's philosophy as a response to the central intellectual controversy of the era: the Pantheism Dispute. Friedrich Jacobi had accused the recently deceased Gotthold Ephraim Lessing (a distinguished dramatist and philosophical essayist) of Spinozism. Such a charge, tantamount to atheism, was vigorously denied by Lessing's friend Moses Mendelssohn, leading to a bitter public dispute among partisans. The controversy gradually escalated into a debate about the values of the Enlightenment and the value of reason. Reinhold maintained in his letters that Kant's Critique of Pure Reason could settle this dispute by defending the authority and bounds of reason. Reinhold's letters were widely read and made Kant the most famous philosopher of his era. Kant published a second edition of the Critique of Pure Reason (Kritik der reinen Vernunft) in 1787, heavily revising the first parts of the book. Most of his subsequent work focused on other areas of philosophy. He continued to develop his moral philosophy, notably in 1788's Critique of Practical Reason (known as the second Critique) and 1797's Metaphysics of Morals. The 1790 Critique of Judgment (the third Critique) applied the Kantian system to aesthetics and teleology. He also wrote a number of semi-popular essays on history, religion, politics and other topics. These works were well received by Kant's contemporaries and confirmed his preeminent status in 18th-century philosophy. There were several journals devoted solely to defending and criticizing Kantian philosophy. Despite his success, philosophical trends were moving in another direction. 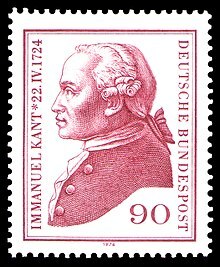 Many of Kant's most important disciples (including Reinhold, Beck and Fichte) transformed the Kantian position into increasingly radical forms of idealism. The progressive stages of revision of Kant's teachings marked the emergence of German Idealism. Kant opposed these developments and publicly denounced Fichte in an open letter in 1799. It was one of his final acts expounding a stance on philosophical questions. In 1800, a student of Kant named Gottlob Benjamin Jäsche (1762–1842) published a manual of logic for teachers called Logik, which he had prepared at Kant's request. Jäsche prepared the Logik using a copy of a textbook in logic by Georg Freidrich Meier entitled Auszug aus der Vernunftlehre, in which Kant had written copious notes and annotations. The Logik has been considered of fundamental importance to Kant's philosophy, and the understanding of it. The great 19th-century logician Charles Sanders Peirce remarked, in an incomplete review of Thomas Kingsmill Abbott's English translation of the introduction to Logik, that "Kant's whole philosophy turns upon his logic." Also, Robert Schirokauer Hartman and Wolfgang Schwarz, wrote in the translators' introduction to their English translation of the Logik, "Its importance lies not only in its significance for the Critique of Pure Reason, the second part of which is a restatement of fundamental tenets of the Logic, but in its position within the whole of Kant's work." Kant's health, long poor, worsened and he died at Königsberg on 12 February 1804, uttering "Es ist gut" ("It is good") before expiring. His unfinished final work was published as Opus Postumum. Kant drew a parallel between the "Copernican revolution" and the epistemology of his new transcendental philosophy, although, according to Tom Rockmore, Kant himself never used the "Copernican revolution" phrase about himself, though it was "routinely" applied to his work by others. Kant defines his theory of perception in his influential 1781 work the Critique of Pure Reason, which has often been cited as the most significant volume of metaphysics and epistemology in modern philosophy. Kant maintains that our understanding of the external world had its foundations not merely in experience, but in both experience and a priori concepts, thus offering a non-empiricist critique of rationalist philosophy, which is what he and others referred to as his "Copernican revolution". Kant, however, contests this: he claims that elementary mathematics, like arithmetic, is synthetic a priori, in that its statements provide new knowledge, but knowledge that is not derived from experience. This becomes part of his over-all argument for transcendental idealism. That is, he argues that the possibility of experience depends on certain necessary conditions — which he calls a priori forms — and that these conditions structure and hold true of the world of experience. In so doing, his main claims in the "Transcendental Aesthetic" are that mathematic judgments are synthetic a priori and in addition, that Space and Time are not derived from experience but rather are its preconditions. Once we have grasped the functions of basic arithmetic, we do not need any empirical experience to know that 100 + 100 = 200, and so it appears that arithmetic is analytic. However, that it is analytic can be disproved by considering the calculation 5 + 7 = 12: there is nothing in the numbers 5 and 7 by which the number 12 can be inferred. Thus "5 + 7" and "the cube root of 1,728" or "12" are not analytic because their reference is the same but their sense is not — the mathematical judgment "5 + 7 = 12" tells us something new about the world. It is self-evident, and undeniably a priori, but at the same time it is synthetic. Thus Kant proved that a proposition can be synthetic and known a priori. Kant asserts that experience is based both on the perception of external objects and a priori knowledge. The external world, he writes, provides those things that we sense. But it is our mind that processes this information and gives it order, allowing us to comprehend it. Our mind supplies the conditions of space and time to experience objects. According to the "transcendental unity of apperception", the concepts of the mind (Understanding) and the perceptions or intuitions that garner information from phenomena (Sensibility) are synthesized by comprehension. Without the concepts, perceptions are nondescript; without the perceptions, concepts are meaningless — thus the famous statement, "Thoughts without content are empty, intuitions (perceptions) without concepts are blind." Kant also claims that an external environment is necessary for the establishment of the self. Although Kant would want to argue that there is no empirical way of observing the self, we can see the logical necessity of the self when we observe that we can have different perceptions of the external environment over time. By uniting all of these general representations into one global representation, we can see how a transcendental self emerges. "I am therefore conscious of the identical self in regard to the manifold of the representations that are given to me in an intuition because I call them all together my representations." Kant deemed it obvious that we have some objective knowledge of the world, such as, say, Newtonian physics. But this knowledge relies on synthetic, a priori laws of nature, like causality and substance. The problem, then, is how this is possible. Kant's solution was to reason that the subject must supply laws that make experience of objects possible, and that these laws are the synthetic, a priori laws of nature that we know apply to all objects before we experience them. So, to deduce all these laws, Kant examined experience in general, dissecting in it what is supplied by the mind from what is supplied by the given intuitions. What has just been explicated is commonly called a transcendental reduction. To begin with, Kant's distinction between the a posteriori being contingent and particular knowledge, and the a priori being universal and necessary knowledge, must be kept in mind. For if we merely connect two intuitions together in a perceiving subject, the knowledge is always subjective because it is derived a posteriori, when what is desired is for the knowledge to be objective, that is, for the two intuitions to refer to the object and hold good of it necessarily universally for anyone at any time, not just the perceiving subject in its current condition. What else is equivalent to objective knowledge besides the a priori, that is to say, universal and necessary knowledge? Nothing else, and hence before knowledge can be objective, it must be incorporated under an a priori category of the understanding. For example, say a subject says, "The sun shines on the stone; the stone grows warm," which is all he perceives in perception. His judgment is contingent and holds no necessity. But if he says, "The sunshine causes the stone to warm," he subsumes the perception under the category of causality, which is not found in the perception, and necessarily synthesizes the concept sunshine with the concept heat, producing a necessarily universally true judgment. In the Groundwork, Kant's method involves trying to convert our everyday, obvious, rational knowledge of morality into philosophical knowledge. The latter two works followed a method of using "practical reason", which is based only on things about which reason can tell us, and not deriving any principles from experience, to reach conclusions which can be applied to the world of experience (in the second part of The Metaphysic of Morals). Kant is known for his theory that there is a single moral obligation, which he called the "Categorical Imperative", and is derived from the concept of duty. Kant defines the demands of the moral law as "categorical imperatives". Categorical imperatives are principles that are intrinsically valid; they are good in and of themselves; they must be obeyed by everyone in all situations and circumstances, if our behavior is to observe the moral law. The Categorical Imperative provides a test against which moral statements can be assessed. Kant also stated that the moral means and ends can be applied to the categorical imperative, that rational beings can pursue certain "ends" using the appropriate "means". Ends based on physical needs or wants can create merely hypothetical imperatives. The categorical imperative can only be based on something that is an "end in itself", that is, an end that is not a means to some other need, desire, or purpose. Kant believed that the moral law is a principle of reason itself, and is not based on contingent facts about the world, such as what would make us happy, but to act on the moral law which has no other motive than "worthiness of being happy". Accordingly, he believed that moral obligation applies only to rational agents. Unlike a hypothetical imperative, a categorical imperative is an unconditional obligation; that is, it has the force of an obligation regardless of our will or desires In Groundwork of the Metaphysic of Morals (1785) Kant enumerated three formulations of the categorical imperative that he believed to be roughly equivalent. Kant believed that if an action is not done with the motive of duty, then it is without moral value. He thought that every action should have pure intention behind it; otherwise it was meaningless. The final result was not the most important aspect of an action, but how the person felt while carrying out the action was the time at which value was set to the result. A phrase quoted by Kant, which is used to summarize the counter-utilitarian nature of his moral philosophy, is Fiat justitia, pereat mundus, ("Let justice be done, though the world perish"), which he translates loosely as "Let justice reign even if all the rascals in the world should perish from it". This appears in his 1795 "Perpetual Peace" ("Zum ewigen Frieden. Ein philosophischer Entwurf"), Appendix 1. Immanuel Kant introduced the categorical imperative: "Act only according to that maxim whereby you can, at the same time, will that it should become a universal law." Find the agent's maxim (i.e., an action paired with its motivation). Take for example the declaration "I will lie for personal benefit". Lying is the action; the motivation is to fulfill some sort of desire. Paired together, they form the maxim. Imagine a possible world in which everyone in a similar position to the real-world agent followed that maxim. With no exception of one's self. This is in order for you to hold people to the same principle required of yourself. The third formulation (Formula of Autonomy) is a synthesis of the first two and is the basis for the "complete determination of all maxims". It says "that all maxims which stem from autonomous legislation ought to harmonize with a possible realm of ends as with a realm of nature". In principle, "So act as if your maxims should serve at the same time as the universal law (of all rational beings)", meaning that we should so act that we may think of ourselves as "a member in the universal realm of ends", legislating universal laws through our maxims (that is, a code of conduct), in a "possible realm of ends". None may elevate themselves above the universal law, therefore it is one's duty to follow the maxim(s). Kant articulates his strongest criticisms of the organization and practices of religious organizations to those that encourage what he sees as a religion of counterfeit service to God. Among the major targets of his criticism are external ritual, superstition and a hierarchical church order. He sees all of these as efforts to make oneself pleasing to God in ways other than conscientious adherence to the principle of moral rightness in choosing one's actions. The severity of Kant's criticisms on these matters, along with his rejection of the possibility of theoretical proofs for the existence of God and his philosophical re-interpretation of some basic Christian doctrines, allow interpretations that see Kant as thoroughly hostile to religion in general and Christianity in particular (e.g., Walsh 1967). Nevertheless, other interpreters consider that Kant was trying to mark off a defensible rational core of Christian belief. Kant sees in Jesus Christ the affirmation of a "pure moral disposition of the heart" that "can make man well-pleasing to God". Regarding Kant’s conception of religion, some critics have highlighted his deism, for example Peter Byrne, who wrote about Kant’s precise relationship with deism. Other critics have argued that Kant’s moral conception moves from deism to theism (as moral theism), for example Allen W. Wood and Merold Westphal. As for Kant’s book entitled Religion within the Boundaries of bare Reason, it was emphasized that Kant reduced religiosity to rationality, religion to morality and Christianity to ethics. Kant calls practical "everything that is possible through freedom", and the pure practical laws that are never given through sensuous conditions but are held analogously with the universal law of causality are moral laws. Reason can give us only the "pragmatic laws of free action through the senses", but pure practical laws given by reason a prioridictate "what ought to be done". Kant discusses the subjective nature of aesthetic qualities and experiences in Observations on the Feeling of the Beautiful and Sublime, (1764). Kant's contribution to aesthetic theory is developed in the Critique of Judgment (1790) where he investigates the possibility and logical status of "judgments of taste." In the "Critique of Aesthetic Judgment," the first major division of the Critique of Judgment, Kant used the term "aesthetic" in a manner that, according to Kant scholar W.H. Walsh, differs from its modern sense. Prior to this, in the Critique of Pure Reason, to note essential differences between judgments of taste, moral judgments, and scientific judgments, Kant abandoned the term "aesthetic" as "designating the critique of taste," noting that judgments of taste could never be "directed" by "laws a priori". 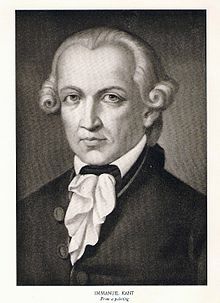 After A. G. Baumgarten, who wrote Aesthetica (1750–58), Kant was one of the first philosophers to develop and integrate aesthetic theory into a unified and comprehensive philosophical system, utilizing ideas that played an integral role throughout his philosophy. In the chapter "Analytic of the Beautiful" of the Critique of Judgment, Kant states that beauty is not a property of an artwork or natural phenomenon, but is instead a consciousness of the pleasure that attends the 'free play' of the imagination and the understanding. Even though it appears that we are using reason to decide what is beautiful, the judgment is not a cognitive judgment, "and is consequently not logical, but aesthetical" (§ 1). A pure judgement of taste is in fact subjective insofar as it refers to the emotional response of the subject and is based upon nothing but esteem for an object itself: it is a disinterested pleasure, and we feel that pure judgements of taste, i.e. judgements of beauty, lay claim to universal validity (§§20–22). It is important to note that this universal validity is not derived from a determinate concept of beauty but from common sense (§40). Kant also believed that a judgement of taste shares characteristics engaged in a moral judgement: both are disinterested, and we hold them to be universal. In the chapter "Analytic of the Sublime" Kant identifies the sublime as an aesthetic quality that, like beauty, is subjective, but unlike beauty refers to an indeterminate relationship between the faculties of the imagination and of reason, and shares the character of moral judgments in the use of reason. The feeling of the sublime, itself officially divided into two distinct modes (the mathematical and the dynamical sublime), describes two subjective moments, both of which concern the relationship of the faculty of the imagination to reason. Some commentators, however, argue that Kant's critical philosophy contains a third kind of the sublime, the moral sublime, which is the aesthetic response to the moral law or a representation thereof, and a development of the "noble" sublime in Kant's theory of 1764. The mathematical sublime is situated in the failure of the imagination to comprehend natural objects that appear boundless and formless, or appear "absolutely great" (§ 23–25). This imaginative failure is then recuperated through the pleasure taken in reason's assertion of the concept of infinity. In this move the faculty of reason proves itself superior to our fallible sensible self (§§ 25–26). In the dynamical sublime there is the sense of annihilation of the sensible self as the imagination tries to comprehend a vast might. This power of nature threatens us but through the resistance of reason to such sensible annihilation, the subject feels a pleasure and a sense of the human moral vocation. This appreciation of moral feeling through exposure to the sublime helps to develop moral character. Kant lectured on anthropology for over 25 years. His Anthropology from a Pragmatic Point of View was published in 1798. (This was the subject of Michel Foucault's secondary dissertation for his State doctorate, Introduction to Kant's Anthropology.) Kant's Lectures on Anthropology were published for the first time in 1997 in German. The former was translated into English and published by the Cambridge Texts in the History of Philosophy series in 2006. Some or all of these Kantian ideas can be seen in schools of thought as different from one another as German Idealism, Marxism, positivism, phenomenology, existentialism, critical theory, linguistic philosophy, structuralism, post-structuralism, and deconstructionism. Statue of Immanuel Kant in Kaliningrad (Königsberg), Russia. Replica by Harald Haacke (de) of the original by Christian Daniel Rauch lost in 1945. Kant believed that mathematical truths were forms of synthetic a priori knowledge, which means they are necessary and universal, yet known through intuition. Kant's often brief remarks about mathematics influenced the mathematical school known as intuitionism, a movement in philosophy of mathematics opposed to Hilbert's formalism, and the logicism of Frege and Bertrand Russell. With his "Perpetual Peace: A Philosophical Sketch", Kant is considered to have foreshadowed many of the ideas that have come to form the democratic peace theory, one of the main controversies in political science. Prominent recent Kantians include the British philosopher P. F. Strawson, the American philosophers Wilfrid Sellars and Christine Korsgaard. Due to the influence of Strawson and Sellars, among others, there has been a renewed interest in Kant's view of the mind. Central to many debates in philosophy of psychology and cognitive science is Kant's conception of the unity of consciousness. After the expulsion of Königsberg's German population at the end of World War II, the University of Königsberg where Kant taught was replaced by the Russian-language Kaliningrad State University, which took up the campus and surviving buildings of the historic German university. In 2005, the university was renamed Immanuel Kant State University of Russia. The change of name was announced at a ceremony attended by President Vladimir Putin of Russia and Chancellor Gerhard Schröder of Germany, and the university formed a Kant Society, dedicated to the study of Kantianism.